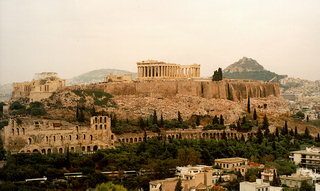 The south slope of the Acropolis played a significant role in the artistic, spiritual and religious activity of ancient Athens. 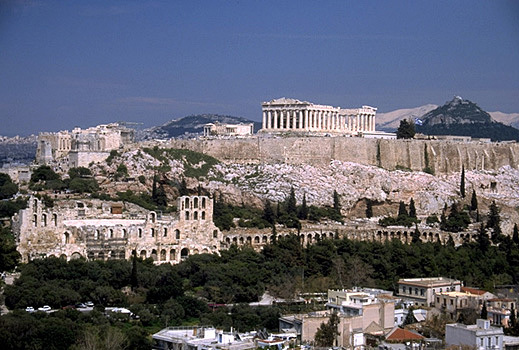 Important public buildings were erected in the area: the Odeion of Perikles, the sanctuary and theatre of Dionysos, the choregic monuments, the Asklepieion, the stoa of Eumenes and the Odeion of Herodes Atticus. Recently, architectural members in the orchestra and the retaining wall of the east parodos of the Dionysos Theatre were restored. 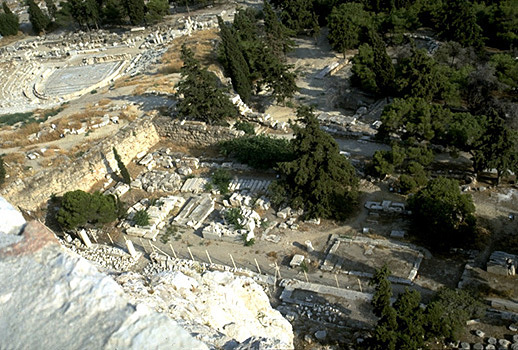 Excavations at the sanctuary of Dionysos started in 1838 by the Greek Archaeological Society and lasted for about a century. They brought to light the theatre and the greater part of the sanctuary which includes the two temples of Dionysos. 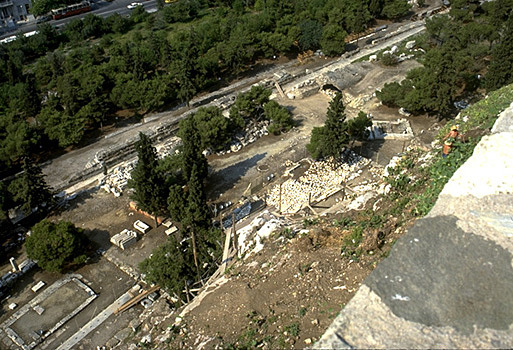 The excavations at the Odeion of Perikles were carried out almost sixty years ago and revealed a large building with many columns. The excavations, conducted by Kastriotes (1914-1927) and Orlandos (1928-1931), revealed the north side of the building and five column bases at the NE corner. 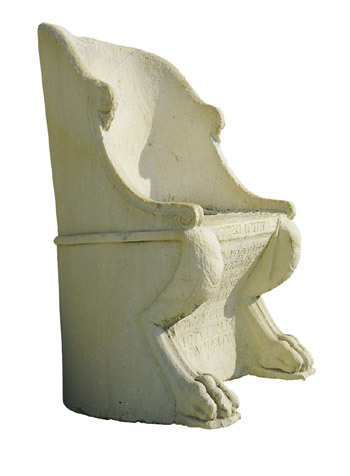 The excavations at the Asklepieion were conducted in 1875-76 by the Greek Archaeological Service under the direction of St. Koumanoudis and uncovered the Early Christian basilicas and remains of the most important buildings of the sanctuary. 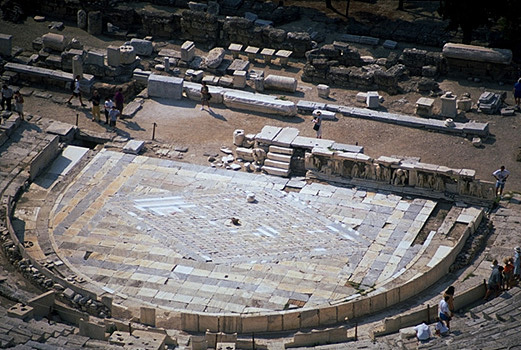 Theater of Dionysos, central section of theatron. 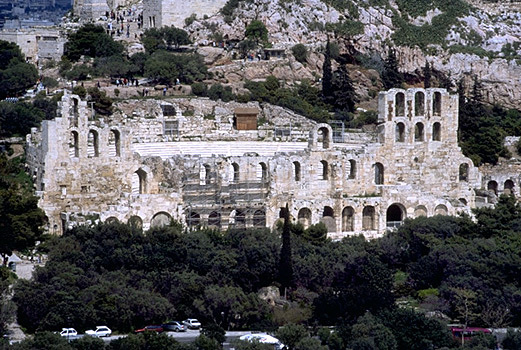 Theater of Dionysos, west side of theatron.